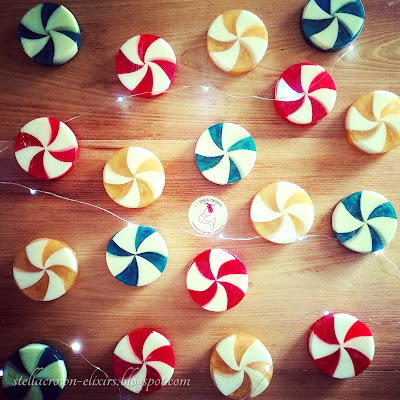 To finish this year with a sweet taste, which was not easy at least for me, I chose another one candy soap that you can make it quick and easy even at the last moment and give it as a festive gift to your people. For this period of celebrations, the colour that is used most is red, white or even green, while later you can use pastel colours, ideal to welcome Spring. Today’s craft is divided into three parts in execution and description in order to understand even a beginner. Let’s cook! Before start making the soap, sterilise tools, containers and work surface, while don’t forget to wear your gloves. 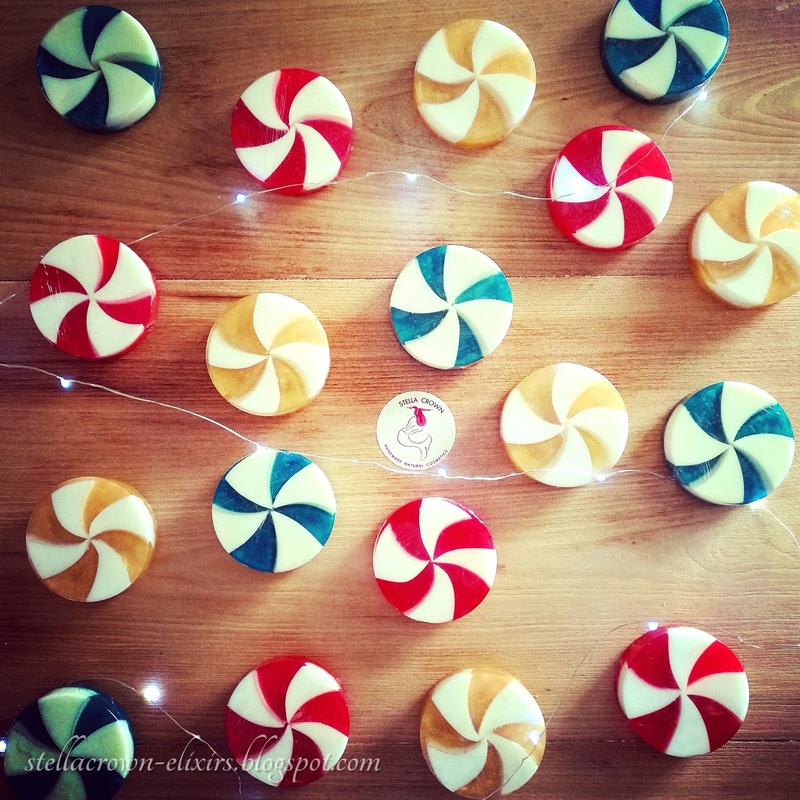 Weigh the soap bases, cut into cubes and leave them aside. for the 1st part: pour the soap cubes into the beaker. Place the soap in microwave and melt for 10 seconds. Stir the soap with the whisker and put it back in microwave for 10 seconds again. Repeat the process until your soap is completely melted. This technique prevents from scorching. Usually I follow the method of bain marie but if I am in a hurry I use the microwave. When the soap reacts 60 degrees Celsius, dd the shea butter and the flavouring oil and stir. Spray with alcohol into the soap to remove the bubbles but also into the mold. Pour the soap in the mold and spray again. Allow the soap to fully cool and harden. 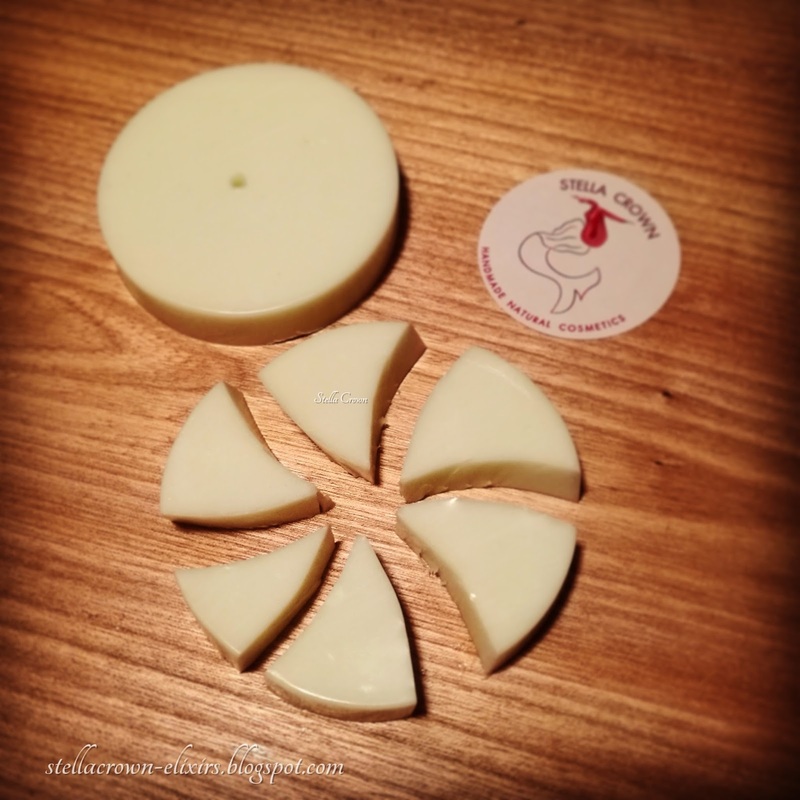 Use a small bladed knife and make a mark in the centre of the soap. Cut the soap into eight pieces, curved if possible, using the mark as a starting point. for the 2nd part: we follow the same procedure as we did in the first part. 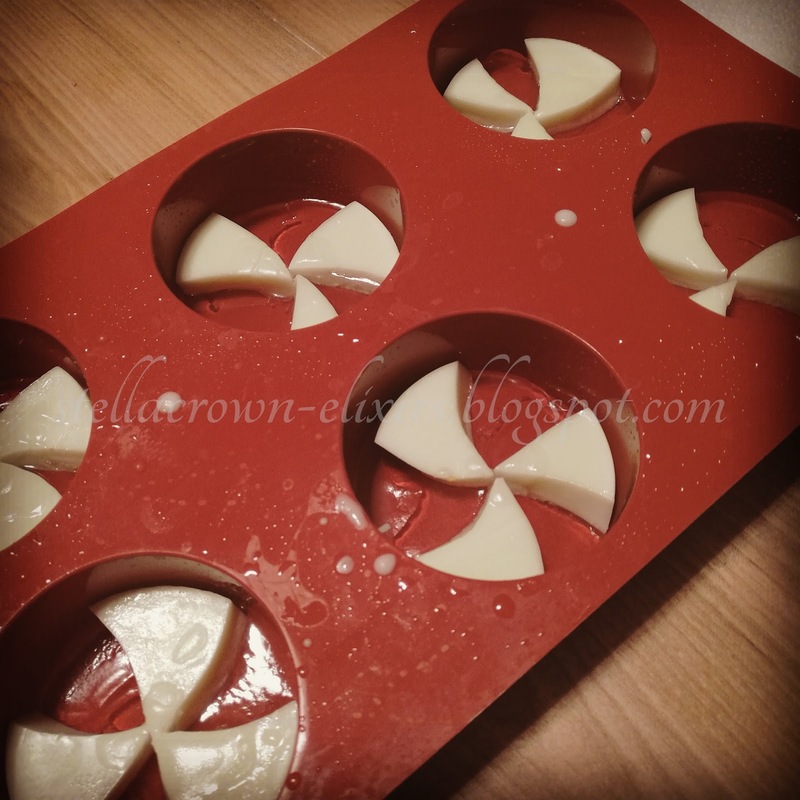 Pour a thin layer of clear soap into the bottom of the mold. Let this thin layer to harden for 5 minutes. Spritz with alcohol, place in each mold position 4 sections of the white soap. Spritz again with alcohol and pour some drops of the clear soap. Continue to the 3rd part. for the 3rd part: follow the same procedure of melting and add this time the colour that you chose. When the soap reaches 55 degrees Celsius, spritz with alcohol into the soap. Spritz again into the mold and pour the coloured soap. Spritz again, let the soap to fully cool, take it out of the mold and wrap it in cling film.